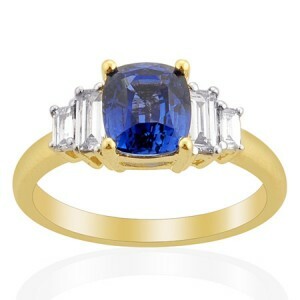 Sapphire rings make the perfect summer jewellery accessories. With deep shades of navy blue shimmering like the ocean at your finger tips you’ll be reminded not just of holidays abroad but of long summer days with pure blue skies. 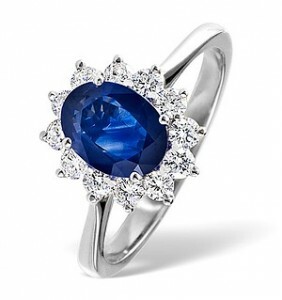 Sapphire rings are the luxurious blue gemstone that reminds us of the sparkling deep ocean filled with mystery and intrigue. Sapphire is the Royal gemstone chosen by Princess Diana and passed on to Prince William and bestowed to his girlfriend now wife Kate Middleton in their Royal engagement that captivated our hearts culminating in their magnificent marriage celebrated this year.